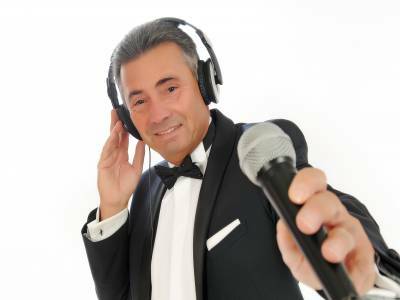 "A Disco For All Occasions"
We have provided a mobile disco service for 25yrs+. We offer a personal service to you. A professional full time DJ with over 40yrs + experience. Weddings,birthdays if you are looking for DJ/host for your event call me.. Required by many venues, goldensoundsdisco has a current PLI policy with AMP DJ in the amount of £10 million. Also required by many venues, goldensoundsdisco has supplied satisfactory evidence of holding current PAT inspections of their equipment dated within the last 12 months. A Method Statement outlining goldensoundsdisco&apos;s Health & Safety procedure for setting up disco equipment has been provided. goldensoundsdisco has provided Risk Assessments undertaken at events sourced via needadisco.com, indicating that they can undertake these competently. Why do people choose to book goldensoundsdisco? "Pat made the end of our wedding party very special. men who had not danced for decades were on the dance floor and the feed back from the guests were excellent. Thank you so much for tuning into our wishes and calibrating before and after with us. Hope to see you again soon." "Thank you ,The good old UK summer returned,at least it did not dampen your guests spirits.Pat"
"Pat was very engaging and accommodating as well as intuitive to the party audience. Would definitely use him again." "Pat is an amazing DJ. Our wedding guests were delighted with the music, the selection was great and so was our first dance. Pat is very accomodating, keen on details, professional and super kind and friendly. We definitely recommend him for any event you have. Great great job." "Very helpful on the night. Very friendly and knowledgeable." 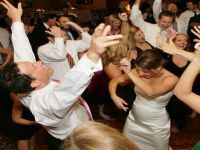 goldensoundsdisco also offers a range of additional party services not directly linked to musical entertainment. If you are contacting goldensoundsdisco about an event, it's always a good idea to include the DATE, LOCATION, EVENT TYPE, AGE GROUP and TIMINGS to speed things up!